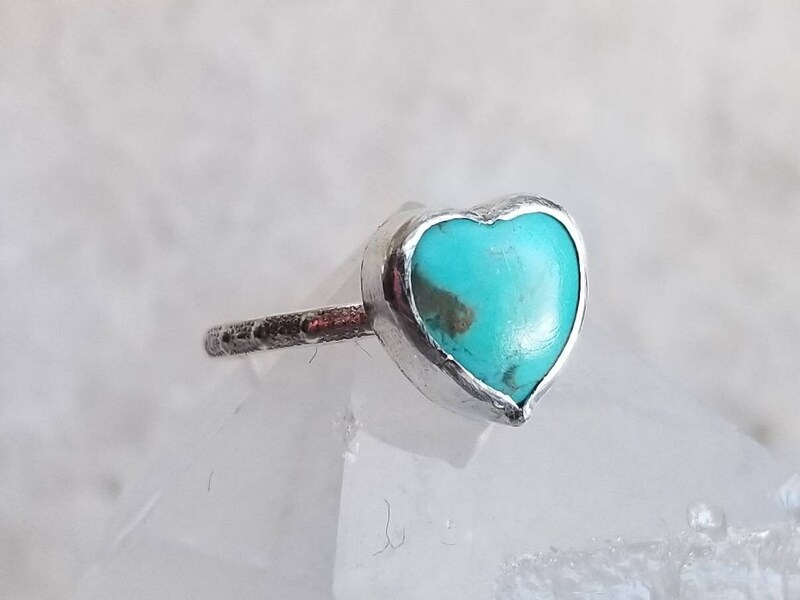 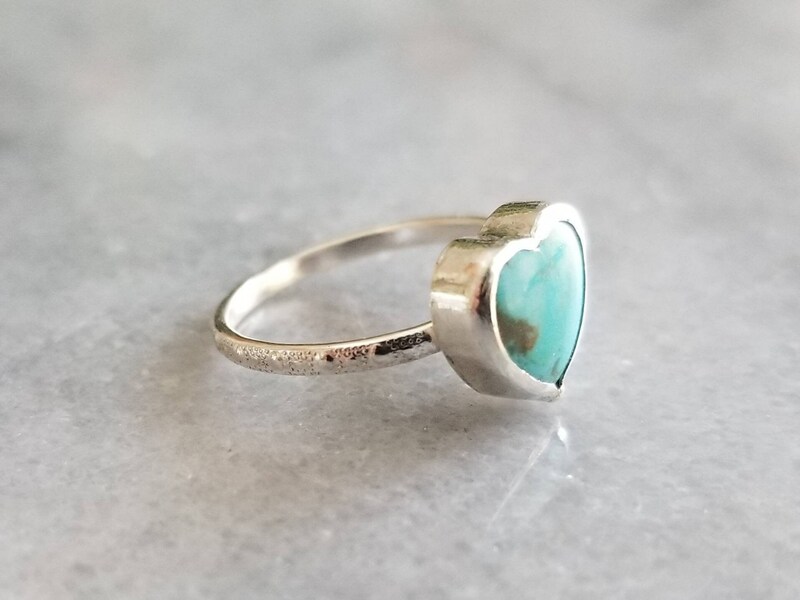 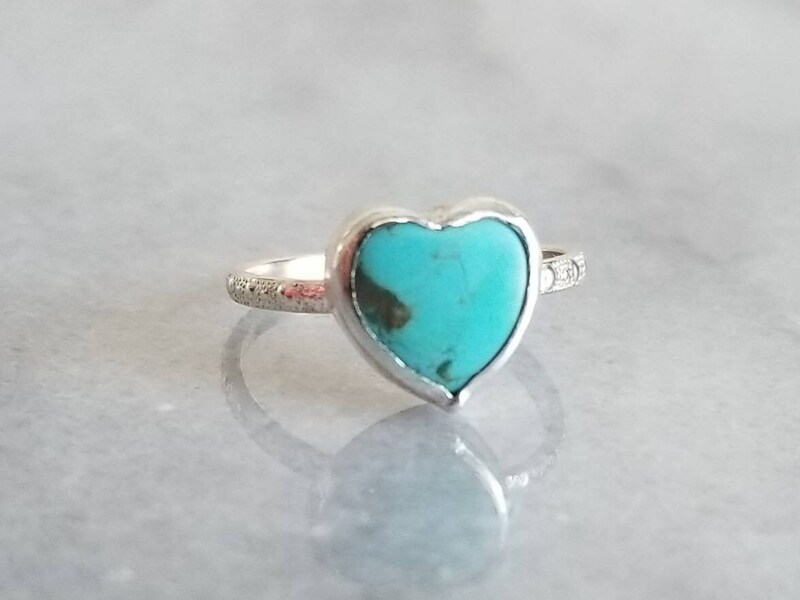 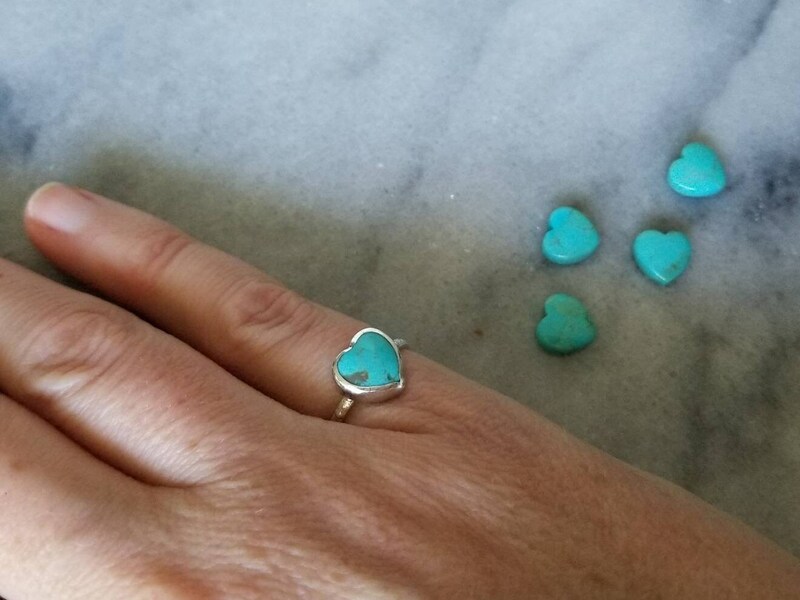 Set in a hand made bezel, this 9mm pale sky blue Kingman turquoise heart sits on a delicate dot pattern band. 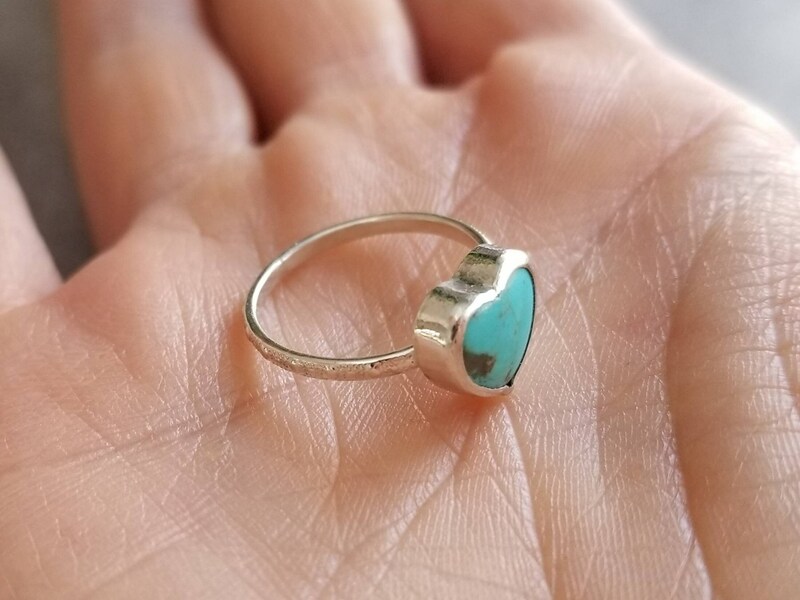 The ring pictured is size 4.5 and ready to ship. 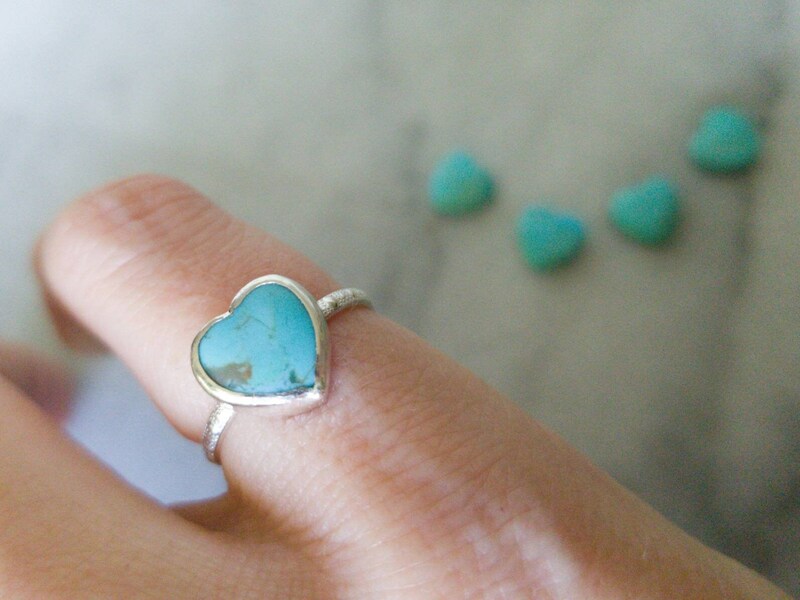 I can make another in a smaller or larger size, but please allow a couple of days for me to create it. 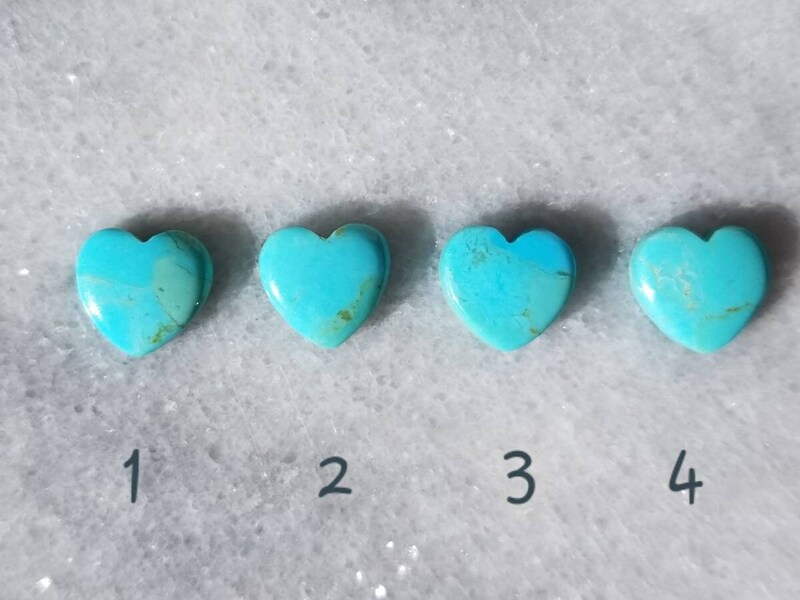 Please see the other stones in the final photo.